Experience Art In Motion! ESP Performing Company’s annual showcase fundraiser is a fun and entertaining evening out for the entire community. The annual ESP Showcase Fundraiser will take place on Saturday, February 23, 2019, at 5:30 p.m. in The Marion Burk Knott Auditorium at Mount Saint Mary’s University in Emmitsburg. Advance tickets are $10.00 for adults and $5.00 for students. There will be basket raffles, 50/50s, concessions, and flowers available for purchase. This year (included with Main Show ticket purchase) there will be a Bonus Solo/Duo/Trio Show at 5:30 p.m., with the main show starting at 7:00 p.m. This year’s showcase will again feature Maggie Kudirka “The Bald Ballerina.” Maggie is an amazing dancer and an outstanding young lady who was diagnosed in 2014 with stage 4 metastatic breast cancer while dancing with The Joffrey Ballet Concert Group. Maggie has been dancing since she was four years old. Maggie shares her journey and speaks to groups around the country to help bring awareness about metastatic breast cancer. Maggie also teaches master ballet classes and continues to dance while fighting this terminal disease. You can follow Maggie on her Bald Ballerina Facebook page. The choreography and dances presented by ESP in the showcase have already won numerous awards this season. The dancers are excited to present these performances to the community, as well as continuing to travel the East Coast this competition season. ESP dancers love traveling and competing on the road, but their favorite place to entertain is at home. “Local performances have always been my favorite events. Making the community smile though the passion we have for dance is heart-warming. I look forward to ending my very last local performance with a bang, with the best team I could ever imagine,” said Lucy Estep, senior dancer. Tickets may be purchased through any ESP Performing Company member or at ESP Dance Studio, 15 Water Street, Thurmont. Registration is still open for spring 2019 classes at the studio, culminating with the annual recital “ESP Visits Wonderland” at the Weinberg Center on Saturday, June 15. All levels of classes are available. ESP specializes in many types of dance, including tap, ballet, jazz, hip hop, lyrical, contemporary, acro, and pointe. Participating in dance class is a great way to build confidence, strength, and to have tons of fun! Check ESP out on Facebook at ESP Dance and ESP Performing Company. Please support ESP Performing Company and help Keep Art Alive! 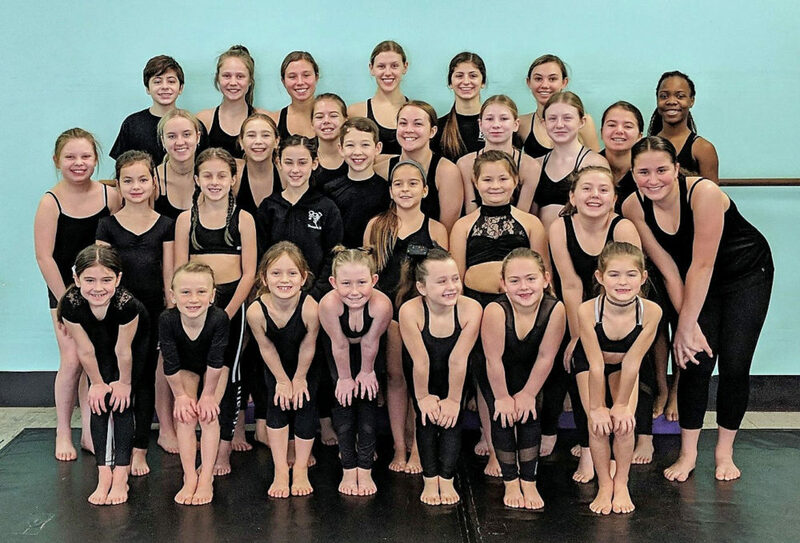 ESP Performing Company (from left): (front row) Abigail Shriner, Anna Doolittle, Tierney Burns, Laken Maniscarco, Maria Fry, Adaline Ridenour, Evie Price; (second row) Emma Strahler, Georgia Wiles, Jordan Bridgett, Mya Horman, Justin Stevens, Sofia Domingues, Marissa Smith, Olivia Gamer, Julie Beech; (third row) Olivia Ecker, Rose Weedy, Claire Daly, Valarie Witmner, Mackenzie Garrett, Kristen Felichko, Sophia Daly, Robyn Tucker; (fourth row) Jack Estep, Kaylyn Ott, Kierdyn Ott, Emily Mitchener, Lucy Estep, Lyla Zelenka.